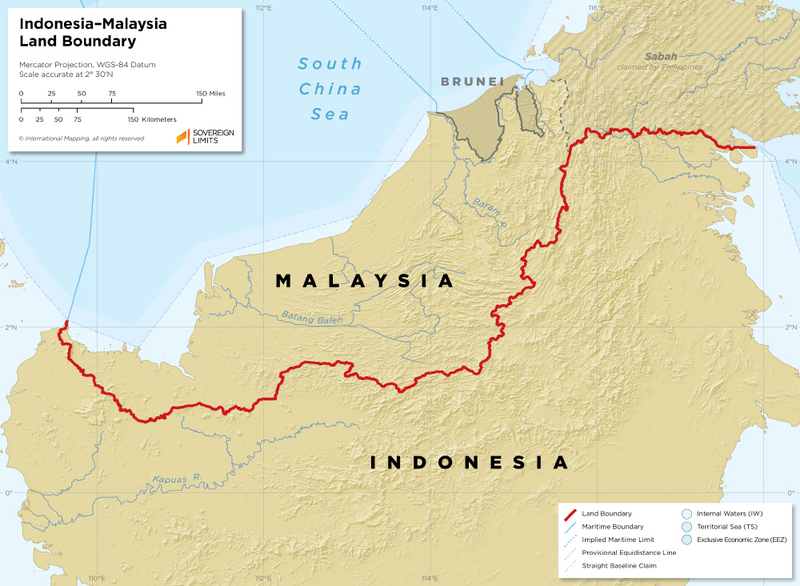 The Indonesia–Malaysia boundary extends for approximately 2,000 kilometers (km) across the island of Borneo and mainly follows watersheds. The border was first established during the colonial era as the boundary between British and Dutch Borneo. An Anglo–Dutch commission completed a partial demarcation of the border during the early 20th century. Indonesia and Malaysia gained independence during the 1940s. The two countries have yet to complete a full demarcation of the border due to a number of territorial disputes caused by differing interpretations of colonial era documents.